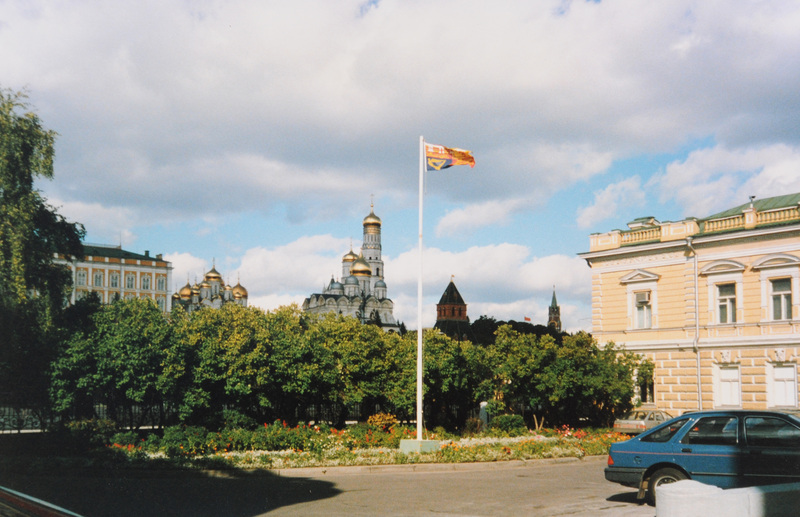 The Royal Standard flying at the Moscow embassy during HRH The Duke of Gloucester’s visit, 1986. Moscow was the capital of Russia before 1712 when Peter the Great moved the seat of government to St Petersburg and since 1918 after the Bolshevik Revolution. A British embassy was re-established in Moscow in 1924. A British consulate-general was established in St Petersburg in 1991.